To diagnose the cause to get rid of the ailment. 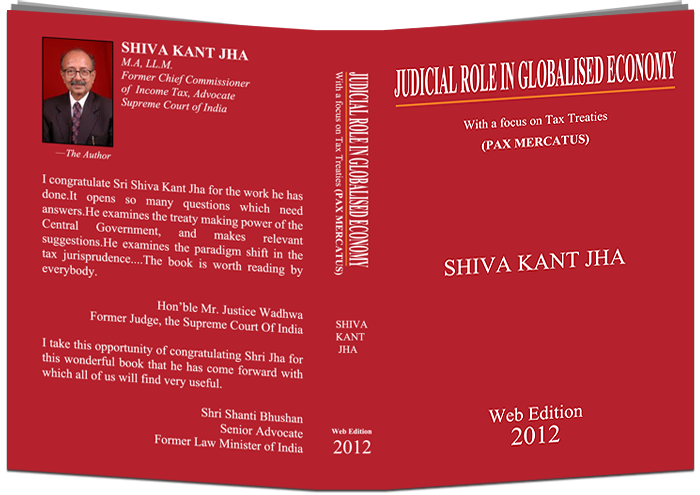 The Adversarial and the PIL dimensions of the Hon'ble Supreme Court's judgement in Shiva Kant Jha vs Union of India in W.P. (C) 694 of 2015. The date of the Judgement: 13 April 2018. Synopsis of the Writ Petition as filed with the W.P. This article formed the basis of Mr. Shiva Kant Jha’s speech, delivered in 1994 at the National Academy of Direct Taxes, at Nagpur, in the assembly of the I.R.S. Officers of the 1964 Batch. 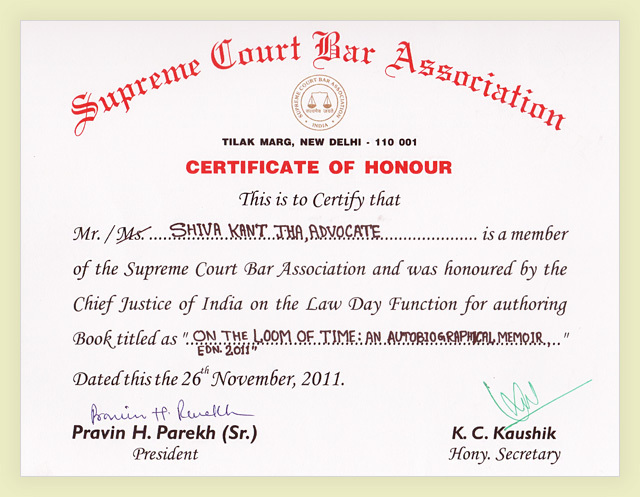 "A fascinating life story beautifully rendered"
authoring the book "On The Loom of Time: An Authobiographical Memoir" to Mr. Shiva Kant Jha.